We are excited to launch our new website; bigger, better and totally up to date. 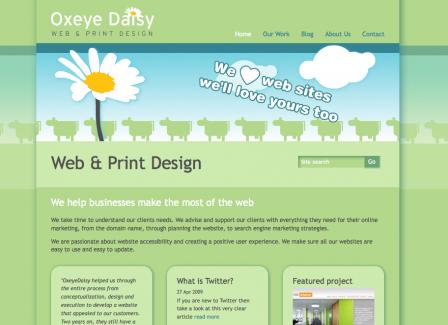 Our poor website always finds itself at the bottom of our ‘To Do’ list so the make-over and attention is long over-due. Forgotten what the old site looked like? Here’s a reminder . . . This entry was posted in Oxeye Daisy and tagged make-over, oxeyedaisy. Bookmark the permalink.